The establishment of the new Marine Protected Area of Gyaros has a dual goal! To effectively protect the natural environment and to contribute and promote an alternative and sustainable economy for the nearest islands. The local communities of both Syros and Andros islands will directly affect the future of Gyaros and the new Marine Protected Area. It is a key task for the project’s team first to evaluate the degree of such influence, but also to identify the effect of the project itself on the two local communities. Consequently, a critical question emerges. In what way and to what extend will the new Marine Protected Area affect the two local societies? The management model proposed for Gyaros is built upon the ecosystem based management approach and involves the participation and active involvement of all the interested groups and stakeholders that operate in the wider project area. The particular action concerns the assessment of the impact of the overall project and of the concrete conservation and management measures that will be implemented in the area on the economy, revenue, income and livelihoods of the local communities of both Syros and Andros. In order to assess and evaluate the project’s success, a number of specific qualitative and quantitative indicators, based on the expectations of the local stakeholders regarding the project’s objectives, will be designated during the project, based on existing literature and published research studies. o The social attitude towards the management plan and the measures adopted within the new Marine Protected Area and their role in the development of the local communities. o The social perception in terms of the contribution of the project’s actions to the economy of the broader area. o The potential changes that the inhabitants of the wider area might experience as a result of the project. o The added value of the new MPA in the tourist sector of the region. o The development of ecotourism activities and the increase in the number of visitors to the area in general. o The quality of life of the local societies. The list of indicators will be continually reconfigured, taking into consideration the results of the socio-economic studies that will be carried out, the first one at the beginning and the second towards the end of the project. In the final study the synthesis of the results will reflect the overall impact of the project on the societies of Andros and Syros. 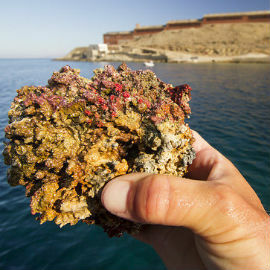 Monitoring the impact of the “CYCLADES LIFE” project to the key stakeholders raises a number of issues that the project’s team will need to address. o How would the team assess the effectiveness of the training seminars implemented targeting the local stakeholders, in relation to the overarching project goal of advancing the conservation of the marine environment of the wider Gyaros area? 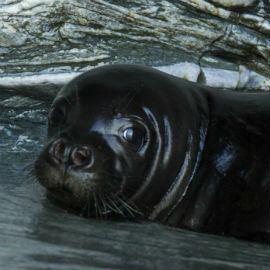 o How would the project team assess any changes in the perceptions of individuals and of stakeholder groups that visit and use the wider of Gyaros area, related to the Mediterranean Monk seal, Monachus monachus, and the marine habitats targeted by the project? o How effective were the lectures and training workshops organized for the stakeholders on the participatory and co-management processes? o Did the stakeholders that are directly involved with the marine environment, who attended the series of training seminars and workshops, changed their perceptions and participated actively in this new initiative? 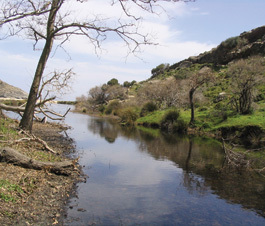 To successfully answer the above questions specific key parameters must be identified and evaluated such as, the fishing activity within the project area prior and after the implementation of the “CYCLADES LIFE” actions, the attitudes of all communities that visit, use or influence, the island of Gyaros such as tour operators and business, regional and local authorities, but also local inhabitants who visit the island to enjoy its natural environment. Such an assessment will be based on a number of specific socio-economic indicators, stemming from the preparatory studies, in conjunction with the qualitative and quantitative indicators in relation to the attitudes and behaviors of the key local stakeholders and of the general local public at different time periods during the project. 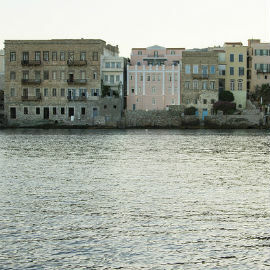 Through this action the project team will be able to draw valuable conclusions regarding the opinion and perception of the involved stakeholders in relation to the effectiveness of the overall conservation efforts towards the protection of the marine environment, as well as their impact on the everyday LIFE of Syros and Andros local communities.